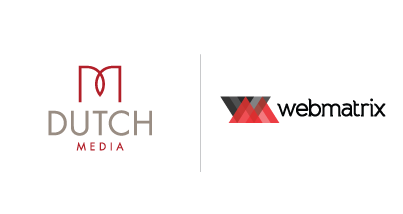 As part of a determination to become regional Australia’s leading digital agency, we are excited to announce a new digital partnership between Dutch Media and Web Matrix. Both companies share a drive to deliver digital and marketing services of a national and international standard from right here in Albury-Wodonga. Web Matrix Managing Director Cameron Knights says, “having worked together on various projects, when the opportunity arose to share the same space, we jumped at the chance”. Web Matrix has been in digital for almost 20 years and Dutch Media’s fresh and passionate marketing and creative team makes for a potent combination of services previously not available in our region. Dutch Media Managing Director Ben Hollands says “together we have the capabilities necessary to run campaigns of any scale and with complex digital components from under the same roof”. Both teams will work together in the newly completed Dutch Media offices in Wodonga, promoting a strong collaborative approach on services such as websites, apps, e-commerce, custom program development and digital marketing.